Are your teeth damaged by decay or cavities? Along with proper dental care, you can do more. Good thing for you, Dental Filling can fix that problem. When the damage of the teeth reaches an irreparable state, Tooth Filling or what is commonly known as Dental Pasta is performed to restore proper function and structure. 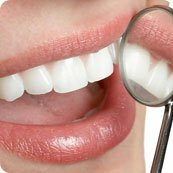 It is a procedure which removes the decayed part of the tooth and fills it with a dental restorative material. Having dental filling restores a damaged tooth back to its normal form, shape, and function. It’s inevitable for us to have bacteria in our tooth that causes tooth decay and holes. Luckily, a dental filling is the answer to counter that. Through modern dentistry advancements, your decay teeth can be kept and remedied. The holes in your teeth will be replaced by a hard, stable and tooth-like material which is dental filling. 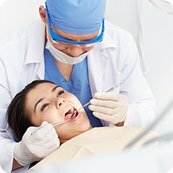 Other benefits of fillings include limited damage caused by cavities and trauma, protection of the remaining tooth from further damage and re-establishment of adequate function of the particular tooth. It is strongly advised that you treat tooth decay early to avoid the deepening of the damage. In cases where the decayed part is too deep to be filled or if it is non-restorable, other treatments may be indicated such as Root Canal Therapy or Tooth Extraction. 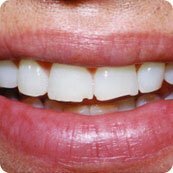 Aside from treatment of Tooth Decay, Dental Filling is also done to repair broken or cracked teeth that may have been caused by Bruxism (teeth grinding) or nail biting. Visit your dentist regularly for teeth cleaning. You must also brush after every meal using flouride toothpaste. Flossing must also be done at least once a day. If you notice sensitivity, cracks or parts of it missing, set an appointment with your dentist immediately for a check-up. The average life span of a dental filling is about 12 years.